Thompson Lake is located in the midst of Southwestern Maine’s Lake’s Region. It is thought of as the area’s best kept secret in terms of cleanliness, beauty, and accessibility. 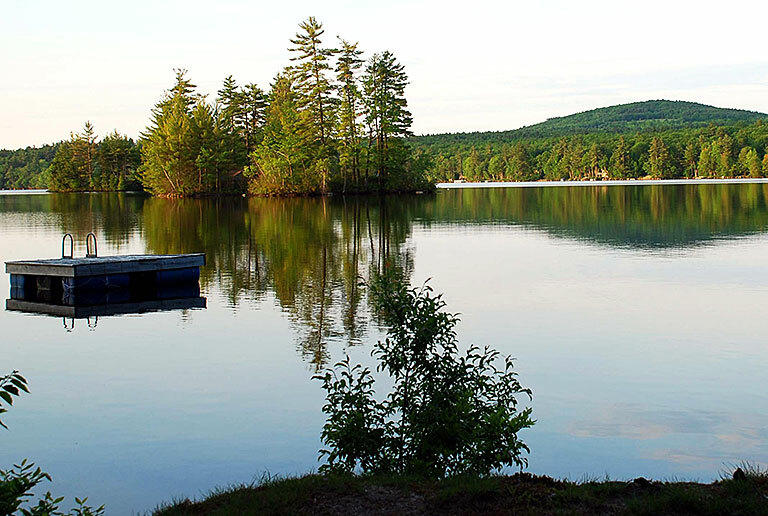 Thompson Lake is in the top 5% of cleanest and clearest lakes in Maine. 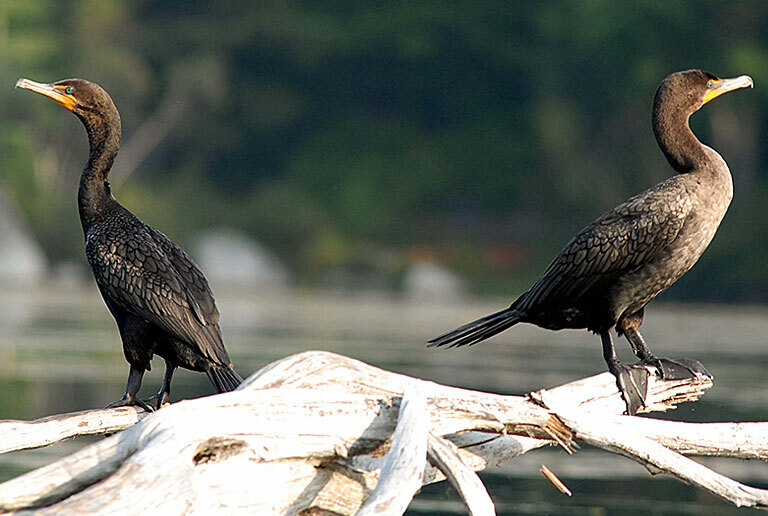 It ranks 24 out of 410 lakes. Those that are clearer are in Northern and Eastern Maine where there is sparse development and population. These are some of the adjectives that are used to describe Thompson Lake by home owners and vacationers alike. Thompson Lake is twelve miles long and averages two miles in width. It is made up of 4,426 acres or nearly seven square miles. It lies in the towns of Casco, Otisfield, Oxford, and Poland. Thompson Lake is situated about thirty minutes from Lewiston-Auburn and forty five minutes from Portland, two of Maine’s most populated cities. Public boat launches are located in the towns of Casco, Otisfield, and Oxford. Thompson Lake is rated one of the ten best bodies of water in Maine for water quality. It is spring fed by the Poland Spring Aquifer – one of the most pristine in the state. The bottom can be seen to a depth of thirty five feet. There is a variety of shore line on Thompson Lake. There are long stretches of undeveloped shore with shallow sandy areas and other areas have steep rocky sections. There are only twelve hundred homes located in the greater Thompson Lake area. Even though there are three public launches, the activity on those is fairly minimal. Therefore, the boat traffic on the lake is much less compared to the other major lakes given its size and capacity. Studies have shown that the lake is eighty per cent underutilized compared to the amount of boat traffic it can accommodate. And since there is no heavy commercial development within close proximity to its shores, there is no background noise and pure starlit nights are abundant. There are many coves and islands throughout the lake. There are some areas where huge rocks can be found that were created by glaciers. Exploring one of the many islands or coves is a favorite activity of many who enjoy the lake. There are three residential camps – Agassiz Village, Camp Fernwood, and Camp Kohut. Sail boating, water skiing, paddle boat activities are done by the campers on any given day. Great views of Mount Washington can be had on a clear day. Spectacular sunsets can be viewed from the east side of the lake. There are frequent sightings of eagles, moose, deer, foxes, ducks, and turkeys. And let’s not forget the loons. Recent wildlife studies have shown that there are over twenty pair of loons that inhabit the various coves of the lake. It is very common to see or hear the cry of the loon at any given moment. Some of the best fishing in southern Maine is on Thompson Lake. The lake is fairly steep in some areas – having depths up to 121 feet. The Maine Inland Fisheries monitors the lake and will stock it with Salmon and Trout in the early Spring and Fall. It is also well known for catching trophy size small mouth and large mouth bass. The lake averages five fishing tournaments a year on its shores. One of the quiet attractions of Thompson Lake is The Heath. This is a separate body of water located at the southern end of the lake across from the Thompson Lake Marina. It connects directly to Thompson Lake via a culvert that runs under the causeway. It is about two miles long and a half a mile wide and is fairly shallow. Motorized boats are not allowed on the Heath and it has become a favorite place for many to fish with a canoe or to kayak. Small mouth, large mouth, sunfish, and pickerel are abundant in these waters. And, on most days young and old can be seen fishing from the street on it shores. Thompson Lake has it all. It is well known by those who have experienced its beauty and tranquility as “the Lake’s Region best kept secret.” Come see for yourself – you won’t be disappointed.